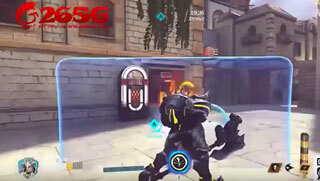 There are rip-offs, and then there's this Chinese mobile game's direct copy of Overwatch. But it's not as bad as you might think. Given the success that Overwatch has had so far, it shouldn't come as a surprise that people are trying to emulate it. After all, the game industry is full of games that have followed in the footsteps of successful titles that have come before. Borrowing ideas from successful games is one thing, but a one Chinese mobile developer looks to be taking things just a bit too far. Pretty bad, right? But it turns out that it's not actually a game that's for sale, or so the developer claims. According to this Reddit translation, the developer made it as a tech demo, and has no plans to publish it. That makes a lot more sense, because at first glance, you would be forgiven for thinking that there were some serious shenanigans going on here.